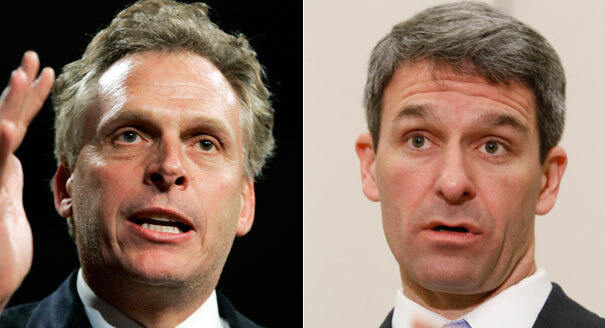 Tonight marks the last debate between gubernatorial candidates Terry McAuliffe and Ken Cuccinelli. Unfortunately for most of us, the debate at Virginia Tech will not be televised. It’s being sponsored and broadcast by CBS affiliate WDBJ 7 in Roanoke. According to information from the station, NewsChannel 8 in Northern Virginia will also broadcast the debate, as will WHSV in Harrisonburg and Channel 19 in Charlottesville. How this managed to happen is anybody’s guess. But it is truly disappointing that Virginians statewide had but one opportunity to see the candidates debate on TV. Our only alternative is to watch the live stream that the debate host is providing on its website. I’ll be watching, of course. But I’d much rather all Virginians had the same opportunity. I say planning for 2017 needs to start now so that this doesn’t happen again. Next Post Friday fun: what’s your temperament? Our local stations did not show this because Terry does not benefit from debating Ken. Without potty training, a puppy weewee’s in the house.